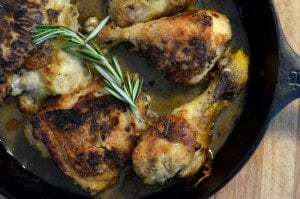 Slow Cooker Roast Chicken Recipe – Many of us love a good roasted chicken. I can think of few people, particularly busy and working parents, who don’t appreciate the good food that can come from a slow cooker. 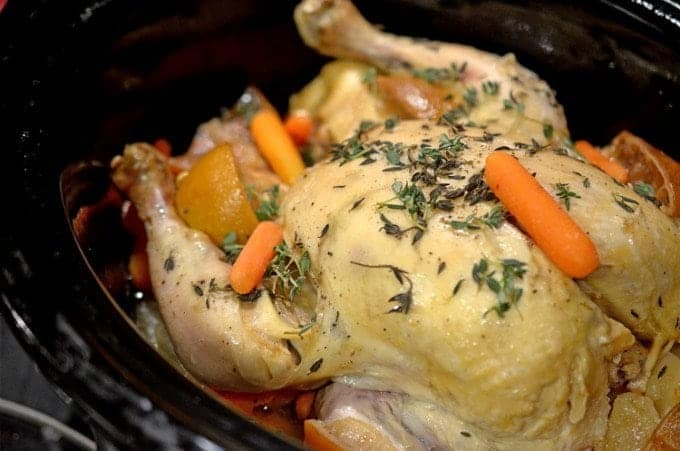 Wouldn’t it be incredible if you could roast a chicken in your crock pot? That day has arrived, with this Slow Cooker Roast Chicken Recipe. We all know how slow cookers do their thing, in a slow covered process. Typically this results in lots of juices, sometimes to the point of shredded meat. Sometimes this is desirable, and sometime it isn’t. It seems then, that it would not be possible to roast a chicken in your slow cooker. 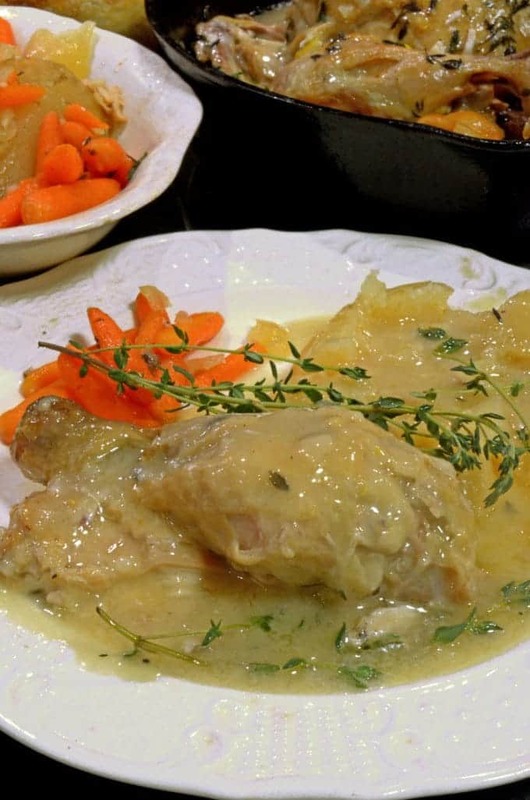 This Slow Cooker Roast Chicken Recipe easily and deliciously proves otherwise. Infusing thyme into a slow cooker chicken recipe. Spray crock of your slow cooker with non-stick coating. 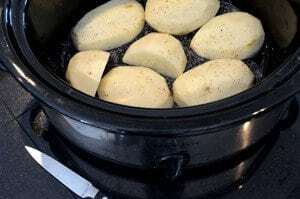 Using 4 or 5 potatoes, peel and slice in half the log way and place in single layer in slow cooker. Using a whole chicken, thoroughly pat dry and season as directed below. Place chicken on top of potatoes. Cover and cook on high, 6-8 hours. Toward the end, pour juice into skillet, add a little wine and some seasoning, stir and heat to reduce. !FOOD HACK! 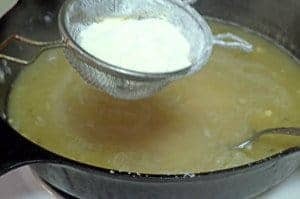 : To thicken gravy, take a small kitchen strainer, put some flour in it and tap into gravy while stirring continuously. 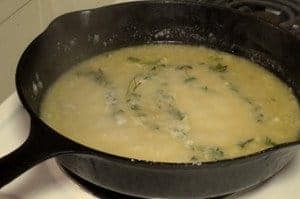 This thickens your gravy without any lumps of flour, giving a smooth and velvety texture to your gravy while allowing you to thicken to desired consistency! Using two large utensils, such as a spatula and slotted spoon, carefully transfer bird to skillet. Place under your oven broiler for about five minutes until skin is lightly browned and ready to eat! Aside from the skillet used to thicken the savory gravy and brown the chicken at the end, this Slow Cooker Roast Chicken Recipe is a veritable one-pot wonder and gives you a complete meal at the end of the process. How can you beat that? 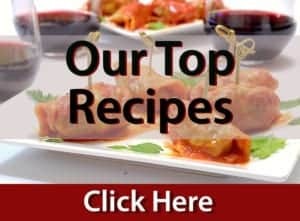 Love great chicken recipes? You’re in good company! See all of our chicken dishes here! 4 Yukon Gold Potatoes peeled and sliced in half lengthwise. 1 roasting chicken patted dry. 1 lemon cut into 4-6 wedges, peel left on. Turn slow cooker to high setting. Apply coat of non-stick spray to interior of crock. Place potatoes in single layer in bottom of crock. 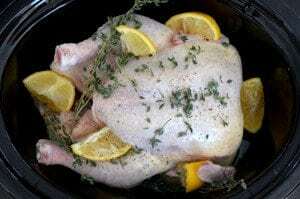 Place chicken on potatoes, remove leaves from a couple sprigs of thyme and sprinkle on bird. 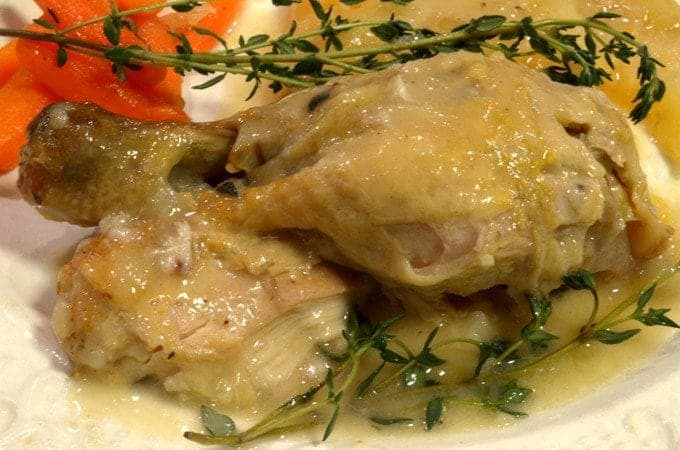 Throw a couple of whole sprigs into slow cooker and on top of chicken. Place lemon wedges on chicken. Add carrots to crock pot, cover and allow to cook for 6-8 hours. Toward the end of cooking, drain juices from crock pot and place in skillet. Over medium high heat, add wine and sprinkle flour into liquid as shown above. Add a sprig or two of thyme to infuse while reducing to desired consistency. Turn oven broiler on high setting. Carefully transfer chicken to skillet, using 2 large slotted spoons, spatulas, or similar utensils. Place high in oven, beneath broiler for about 5 minutes, till skin is nicely browned. Remove potatoes and carrots from slow cooker. If possible, add carrots to slow cooker toward end of cooking, maybe an hour before finishing time. This helps preserve both texture and flavor of the carrots. 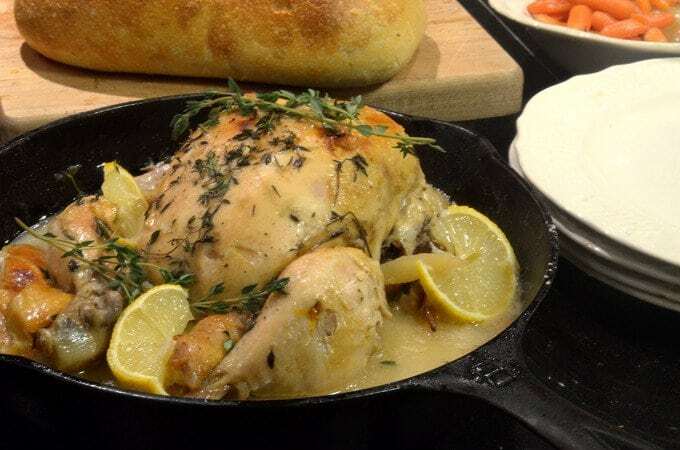 I have never cooked a whole chicken…ever! I think I need to try this. That lemon glaze looks incredible! Such an elegant weeknight meal. I am a working parent, so I do love my slow cooker! I’ve never made a whole chicken in the slow cooker before, so I’ve got to try this. Love the gravy hack too! Thanks, Dee. 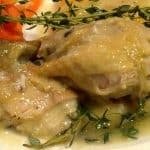 Indeed, there are many, many methods of making a chicken in a slow cooker; I hope you try one of them sooner than later! I love that you added the fresh thyme. It adds so much flavor to chicken. Well done. Thanks, Patty. It’s always amazing what a little fresh seasoning will do to enhance the flavor of anything! What a fantastic weeknight meal!! Such a comforting dinner made really easy with the help of the slow cooker! Such great idea! Thanks so much, Angela. Our family loved this one! I need a slow cooker so bad. Whole chickens won’t fit in my biggest crock pot unless they’re smaller and then it won’t feed everybody, haha! I want to make this so bad. Cynthia, you definitely should pick up a slow cooker; they are not expensive and can truly help you in the kitchen and at the dinner table! I love making chicken in the slow cooker too! I don’t do it every time, but when I do, it’s so convenient! I love how you broiled it at the end to brown the skin! I never thought of doing that. 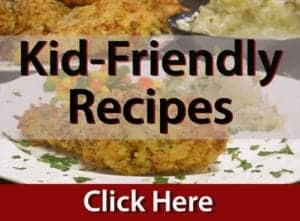 Great idea 🙂 Awesome recipe! Great comments Sherri! Thanks so much for dropping by!